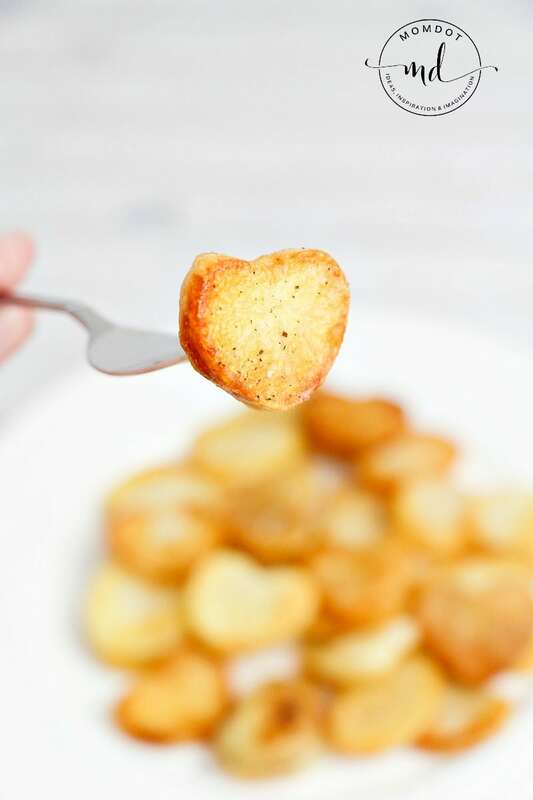 Making Heart Shaped Roasted Potatoes are worth the extra effort, adding a fun and whimsical way that is well received on the dinner plate. 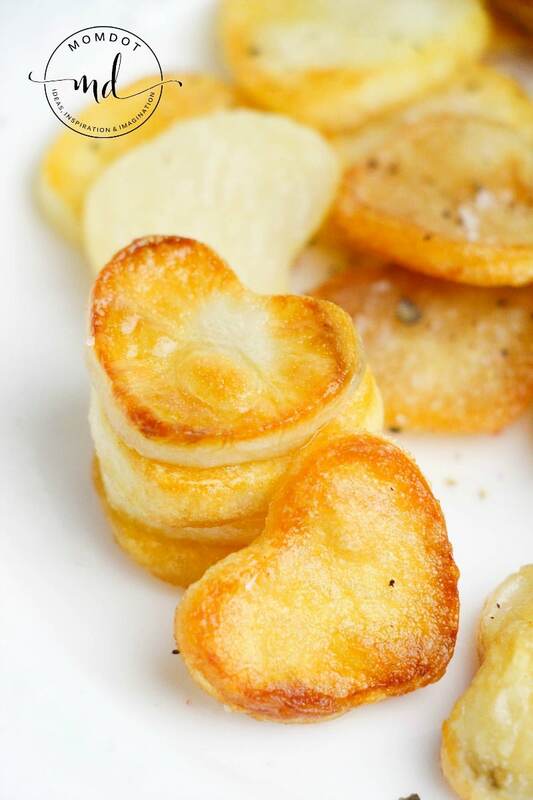 Totally cute as a Valentines day side dish, your Heart Shaped Roasted Potatoes can also be a great way to add something special to any day of the week, even as a cute garnish. Personally I love potatoes as a side to almost any recipe and if we are talking crispy potatoes, even better. It’s the one thing everyone in my family can agree on and they are also good to feed and fill a large group. This is a really fun recipe but being prepared is half the battle. 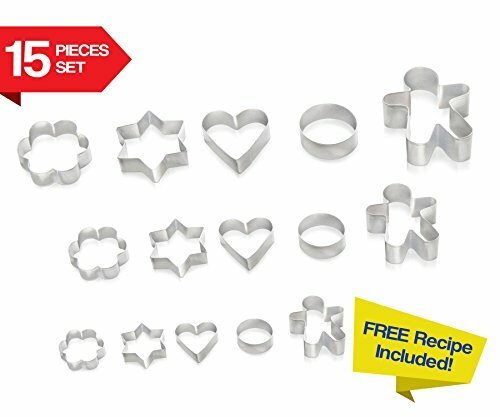 If you need mini-shaped cutters, this set is adorable (you can get either 10-15) different sized cutters in all shapes, including hearts, and can be used with cookies as well! Comes in 3 different sizes and 5 of the most popular shapes! Star, round, flower, heart and gingerbread man. Use it throughout the year and WOW all your guests! DESIGNED FOR SUPER EASY USE AND CLEAN UP – Just add soapy water and quickly remove all the dirt. Super easy and super quick! AN ESSENTIAL KITCHEN UTENSIL FOR YOUR COLLECTION – Everyone loves baking and these cookie cutters are an essential addition to your kitchen collection which you will use over and over again! QUALITY YOU CAN COUNT ON – Made with high grade stainless steel so you can rely on this to last you many years! Before you begin making your recipe, preheat your oven to 400 degrees, put foil on your baking sheet , and spray with non-stick spray. If you do not spray it, they will stick! Now boil water on the stove and move to simmer. Peel your potatoes, slicing them into approx 1/2 inch slices, which makes them easy to cook. Use a metal heart shaped cookie cutter to cut out your hearts. 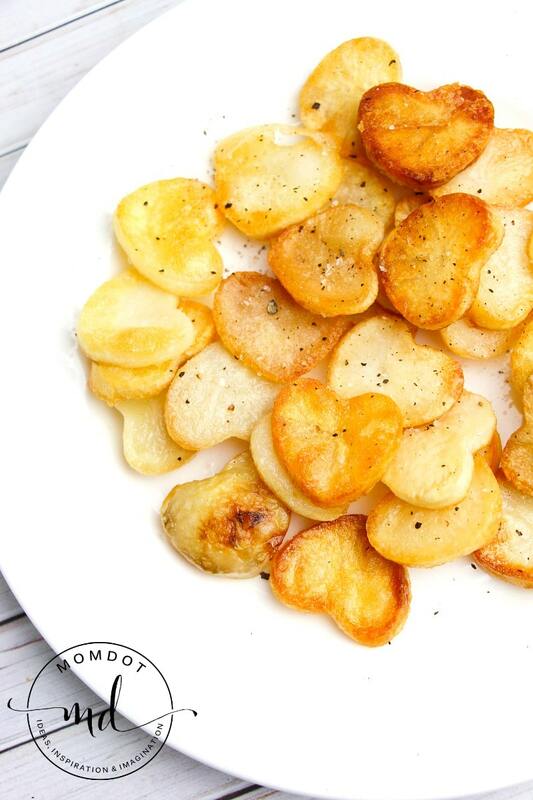 Soften potatoes by putting in the boiling water for about 3-4 minutes, take out and pat dry. Add your potatoes on the cookie sheet and brush with your oil. Add extra seasoning or salt if you like. Roast for approx 20 minutes, turning them over half way to both sides are even. Turn oven on low broil and crisp tops if you like an extra brown, but paying attention that typically only 1-2 minutes tops is needed. Its easy to go from non-burned to burned in my house if your pan is too close. Before you begin making your recipe, preheat your oven to 400 degrees, put foil on your baking sheet, and spray with non-stick sprya. If you do not spray it, they will stick! Looking for something to pair these delicious potatoes with? 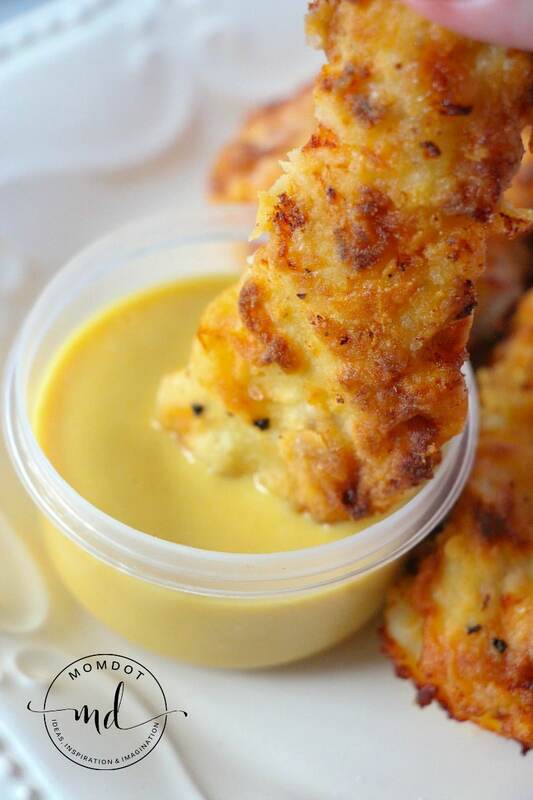 Try Copycat Chick-Fil-A chicken strips!